Football players are used to playing in the cold, wind, rain and other extreme elements, but here’s one you don’t get very often. A 4.5-magnitude earthquake struck just outside Oklahoma City on Saturday, with reports of shaking coming in from across the state — including Stillwater, where No. 17 Oklahoma and No. 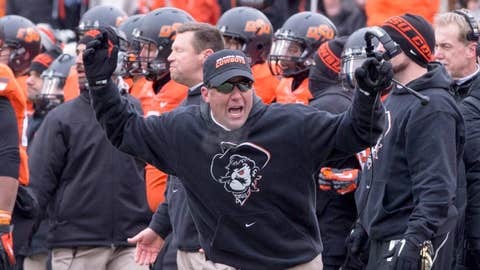 6 Oklahoma State were in the middle of their regular season-ending rivalry clash. Martin Alum News: The Ice Pirate Ben Grogan drills a FG vs OU during a 4.5 mag earthquake!! !